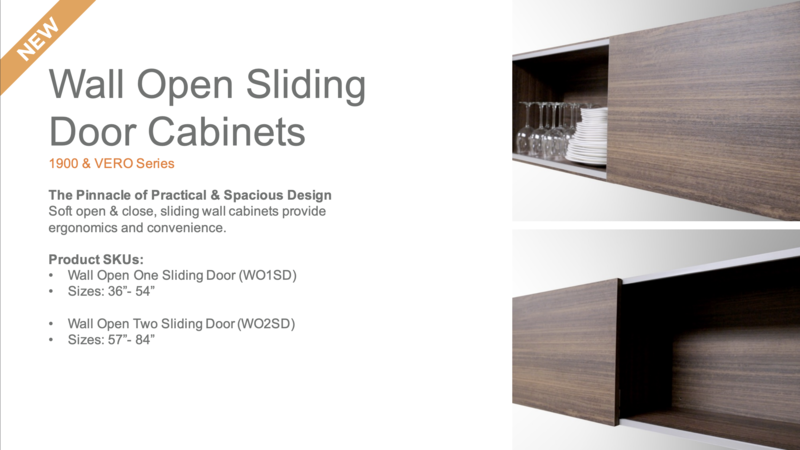 Bellmont Cabinet Company: NEW Wall Sliding Door Cabinet! Bellmont Cabinet Company’s recent Q4 Product Update featured a brand new wall sliding door cabinet! Available in both single door and double door configurations. Available in 1900 Series with a finger-cove included, and in VERO Series, the wall sliding door cabinet provides a perfect balance of handleless and open cabinet storage solutions.